Most superhero stories revel in themes of law and order, justice, and retribution. As a result, lawyers regularly frequent the pages of comic books, movies, and TV shows. While the most famous superhero lawyer is probably Batman, the hero most commonly associated with the law is Daredevil. But how accurate is Netflix’s Daredevil’s depiction of the law? Today we’ll look at one of the most riveting parts from the show’s second season: the trial of Frank Castle. Frank Castle, aka The Punisher, is an antihero who believes in killing criminals instead of delivering them to the police. Castle’s origin story is tragic. Shortly after returning home from a tour of duty, Castle takes his wife and two children to the park for a day of family fun. During the outing, his family is gunned down by gangsters, leaving Frank as the only survivor. Castle becomes The Punisher and sets out to kill everyone involved in his family’s murder. 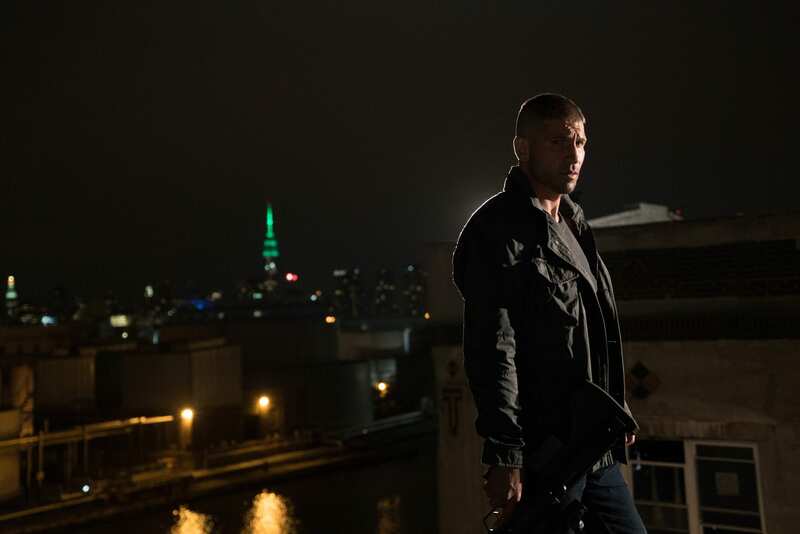 In Daredevil, The Punisher manages to kill dozens of gangsters before surrendering to the authorities. Castle is then charged with several counts of murder and, after pleading “not guilty,” is given an expedited trial date. At trial, Castle is represented by none other than Daredevil himself, aka Matt Murdock, and Daredevil’s best friend, Foggy Nelson. Before looking at what the plot gets “right” or “wrong,” it’s worth noting that this article is not meant as a criticism of the episode — people enjoy TV shows, and especially superhero TV shows, because they are fun, not because they present a perfectly accurate view of the world. Indeed, the fact that TV shows and movies can’t take place in real life is what makes many of them exciting in the first place. That’s certainly true of Daredevil. You don’t need a law degree to know that it would take months (or years) of real world time to prepare for the trial of Frank Castle and to resolve any subsequent appeals. 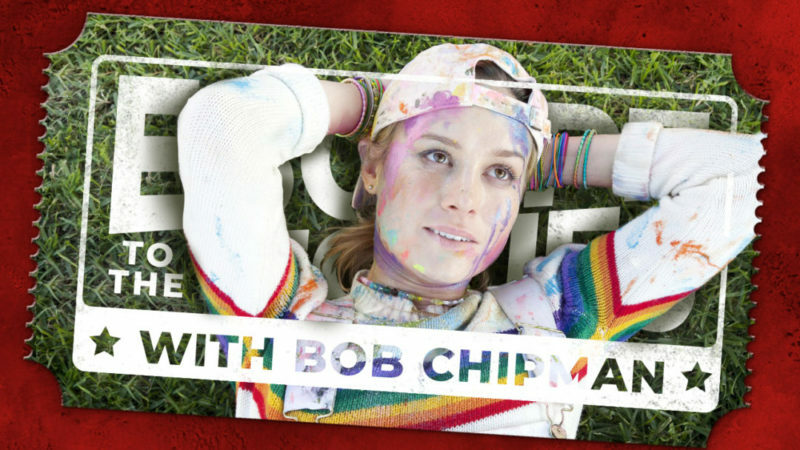 But Netflix only ordered a 13-episode season, and the writers needed to make room for ninjas and giant holes to nowhere (much to my and the critics’ dismay), so the expedited trial and other factually-incorrect-but-narratively-necessary elements hardly warrant a mention. The point of this article is not to be Mr. Buzzkill, but instead to use Daredevil to learn about the justice system, and to think about what the trial of the Punisher might have looked like if the show played by all the rules. I’ll go through the major components of the plot and what it gets right and wrong. The trial proceedings begin with jury selection. We hear the judge going through voir dire — a process in which jurors are asked a series of questions to determine whether they harbor any biases that would prevent them from rendering an impartial verdict. 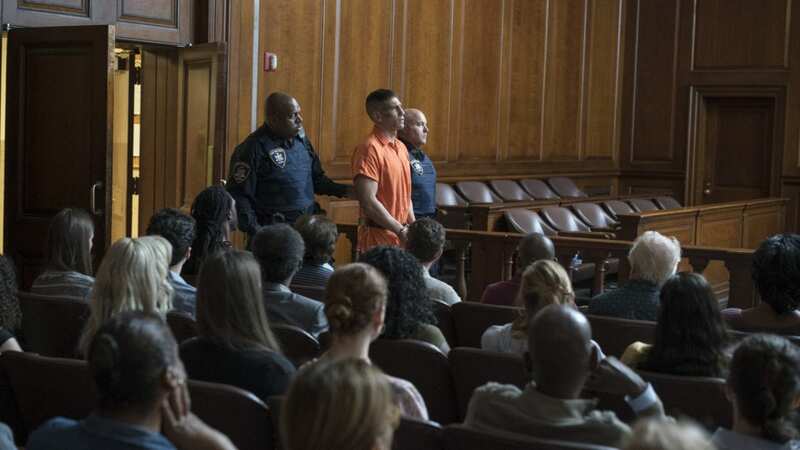 As the viewers, we only hear one question: “Can you state for the court any preexisting opinion, any at all, that you may hold for the defendant, Frank Castle?” We then hear a mix of very positive (“He’s a hero. That’s what we should be calling him.”) and very negative (“I think he’s an animal.”) responses and learn that, when all is said and done, over 400 jurors have been interviewed. At the conclusion of jury selection, the judge provides a warning to the prosecution and defense: “If you can’t agree to move forward with the 12 men and women selected, I will make this trial a living hell for all of you.” In the face of this comment, both sides obviously indicate they are satisfied with the jury. The show correctly shows that judges interview potential jurors to avoid seating jurors with bias. It also depicts some of the difficulties associated with high-profile cases. Because a large portion of the potential jury pool may be familiar with a high profile case, the jury selection process can take quite a bit of time. 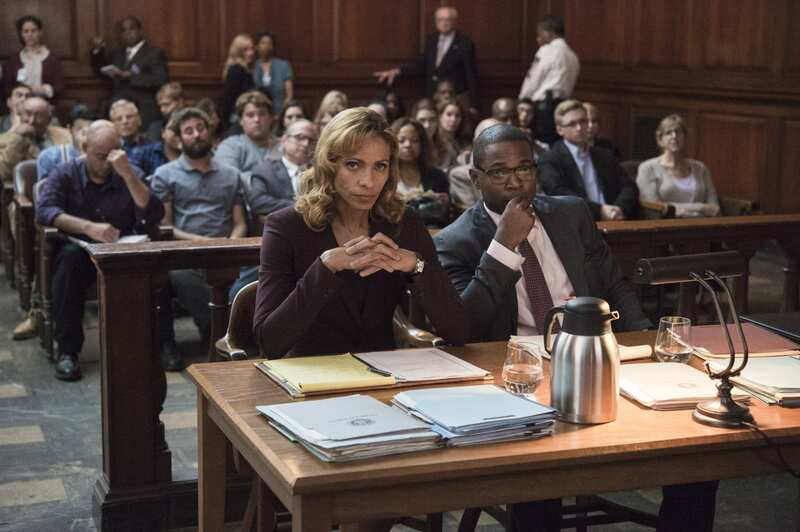 There are a few problems with the show’s depiction of jury selection. First, courts likely would not pose such an open-ended question to potential jurors. In practice, courts begin the voir dire process with a series of broad yes-or-no questions that are posed to dozens of jurors at a time, and are answered with a simple hand raise. The sequence might look something like “Have you heard of Frank Castle?” “Have you formed an opinion as to whether Frank Castle’s actions are good or bad?” “If selected as a juror, would you have a problem making a fair and impartial decision based on the evidence presented?” Jurors who answered yes to all three questions would be dismissed from the pool, and jurors who answered no would be held over for additional questions. As a result, it would be pretty surprising if any of the jurors featured in the opening sequence would have made it past the hand-raising portion of the selection process. Second, the show depicts the jurors providing their answer in open court, and in the presence of other jurors. That would never happen, both to protect the answering jurors’ privacy, and to prevent biased jurors from biasing the rest of the pool. This is the kind of inaccuracy I find problematic, since there is no dramatic or storytelling reason why the other jurors had to be present. Third, the judge’s comment about making the trial “a living hell” is completely inappropriate and could easily be viewed as improper judicial coercion. Criminal defendants have a constitutional right to an impartial jury, no matter how long it takes to find that jury. This is another sore point for me, since the comment doesn’t do anything to advance the plot or build a character. Finally, the jury is shown as having 12 members. In a large-scale trial like this, the jury would likely contain 14 people — 12 jurors and two alternates. Courts use alternate jurors to avoid having to retry a case if a juror gets sick or is unable to continue with the case. The jury is seated, the case is called, and the judge provides a quick (and understandably abbreviated) set of preliminary instructions to the jury. 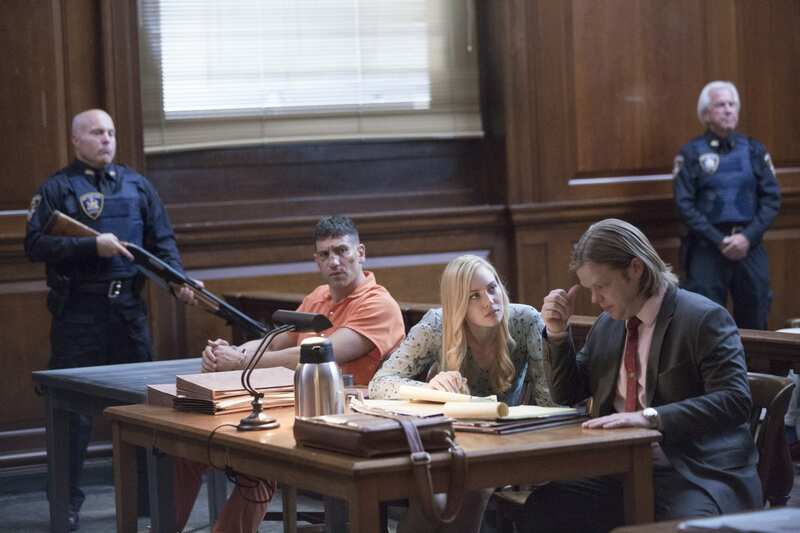 As the judge reads the instructions, we see Foggy and Karen Page (Daredevil and Foggy’s assistant/paralegal) at the defense table, with Castle at a small table to the right in shackles and an orange prison jumpsuit. Nothing, apart from the fact that judges read a set of preliminary instructions to the jury. There is only one thing wrong, but it’s a pretty big problem, A defendant would never be presented to the jury in a prison jumpsuit and shackles. That is automatic grounds for a mistrial. According to the Supreme Court, the use of shackles and prison garb could have “a significant effect on the jury’s feelings about the defendant,” and thus undermine one’s right to be presumed innocent until proven guilty. Karen’s presence at counsel table is also somewhat suspect, but may be allowed, since she is supporting the defense attorney. The opening statement is a thing that exists. Everything else. The purpose of the opening statement is to tell the jury a story about the case they are about to see, and to let the jury know what to expect over the course of the trial. While lawyers can talk about the evidence they are going to introduce, they cannot make absolute statements of fact, and certainly cannot accuse the defendant of uncharged crimes. Because prosecutors use opening statements to introduce the essential elements of a case, the opening statements in large cases can last several hours. In Daredevil, nearly every sentence of the prosecutor’s opening statement was improper, and in the real world, both the defense counsel and the judge would have put a stop to it immediately. What’s more, the prosecutor did not describe any evidence, did not introduce any witnesses, and did not even reference the state’s burden of proof or the facts it intended to prove. To get a sense of what a real, drama-filled and persuasive opening statement looks like in a high profile mass-murder case, you can look to the prosecution’s opening statement in the murder trial of James Holmes, who killed 12 people at a midnight screening of The Dark Knight Rises. 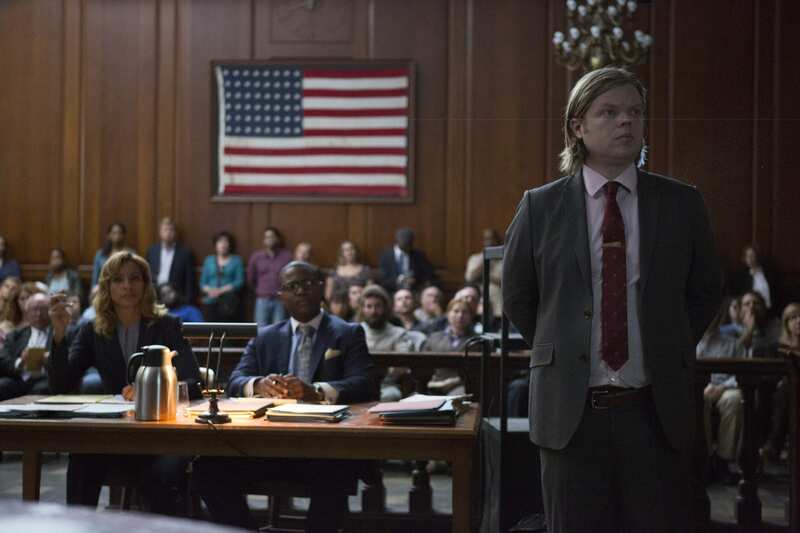 As the prosecution finishes its opening statement, the camera pans over to Foggy Nelson, who we see freaking out. Foggy wasn’t prepared to deliver the opening — that was Matt Murdock’s job, but he is nowhere to be seen. After a long and awkward pause, Foggy states that he’s ready to proceed. After several false starts, Foggy tosses his notes aside and launches into a lengthy speech about how Frank Castle is a decorated marine, a good husband, and an excellent father whose family was murdered. As the statement draws to a close, Matt enters the courtroom to hear Foggy remind the jury that the government has the burden of proof and ask them to keep an open mind. Kudos to Foggy. It’s important to get the jury to sympathize with your defendant, and while Foggy’s opening might not have been the most effective way to garner sympathy, he gets points for effort. Likewise, Foggy was correct to point out that the government has the burden of proof. I also give a special nod of approval to the show’s depiction of a courtroom sketch artist. In a case like this, there would definitely be one in the room. Once again, everything else. For starters, if an attorney’s co-counsel were to mysteriously disappear right before trial, the attorney would almost certainly move to postpone the case to a later date. At a minimum, the attorney would ask for a short break to track him down. More importantly, Foggy’s opening suffers from the same deficiencies as the prosecution’s. He doesn’t discuss any evidence and doesn’t introduce his theory of the case. The ending is especially lackluster, as he never asserts that Castle is innocent. That’s all for now, but stay tuned for part 2, where I’ll go over the witness examinations and closing statements.